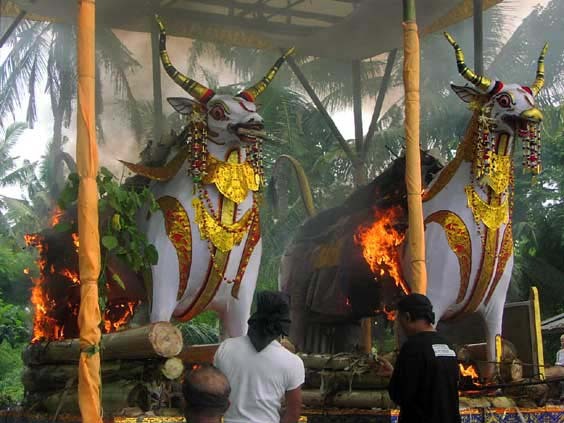 FlameRising Both bull coffins are flamed by gasoline torches. Each of the men being cremated died a few months ago. Their bodies were either embalmed or buried while preparations for the cremation were under way. Only well-to-do, prominent, or much beloved people are cremated in these elaborate formal ceremonies.